Crowned Heads has enjoyed quite a full year of releases for 2017, especially for a brand that traditionally introduces new cigars in a strict, calculated manner. In a sense, this holds true, as there was technically only one new cigar for 2017; the others being re-runs of old Crowned Heads limited editions (Four Kicks Mule Kick and Headley Grange Drumstick), subtle tweaks to annual-run cigars (The Angel’s Anvil 2017 and Las Calaveras Edición Limitada 2017), or soft launches turned regular release (Luminosa). This leaves Four Kicks Maduro as the only truly new cigar at the CH booth for IPCPR 2017. 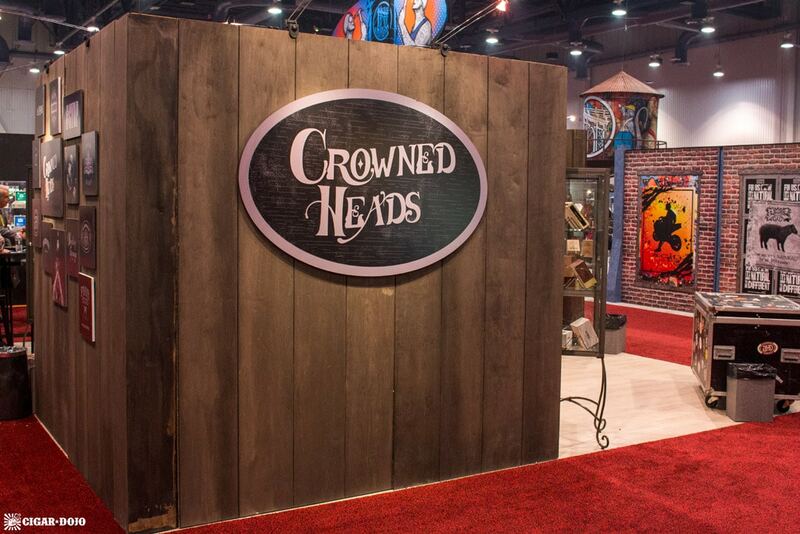 Four Kicks was the first brand introduced by Crowned Heads in 2011. For production, CH teamed with Ernesto Perez-Carrillo and his Tabacalera La Alianza factory in the DR—marking the first private label for the factory. Now, CH has come full circle, introducing a maduro variant of the blend that put the Tennessee-based company on the map. Four Kicks Maduro utilizes the same filler/binder recipe from the original cigar, replacing the Ecuadorian Habano wrapper with a rarely-seen Habano wrapper (maduro shade) from the Connecticut River Valley. The cigars feature four of the six sizes seen from the original blend, altering the packaging/presentation for a new color scheme, built around the same overall design. Comparatively, the Four Kicks Maduro is slightly more expensive than its natural-shade siblings—ranging from $9 – $11 (compared to the $8 – $10 range of the originals). The cigars are described as medium to medium/full in body and should begin shipping soon (CH estimated a ship date of late August but the cigars remain listed as “backorder” by most retailers). Traditionally, Crowned Heads cigars have either been heavily influenced by, or even recreations of old-school Cuban cigar brands. But the company’s 2016 introduction of Las Mareas was a noticeable deviation from this strategy—offering an indigenous/Hawaiian look. In this vein, Luminosa seems to follow a similar design construct, rather the traditional, Cubanesque appearances of other core-line CH releases. Luminosa was actually introduced as a soft launch in the fall of 2016 (many companies introduced cigars prior to IPCPR 2017 due to looming FDA regulations), offering the cigars in Toro and Robusto sizes. 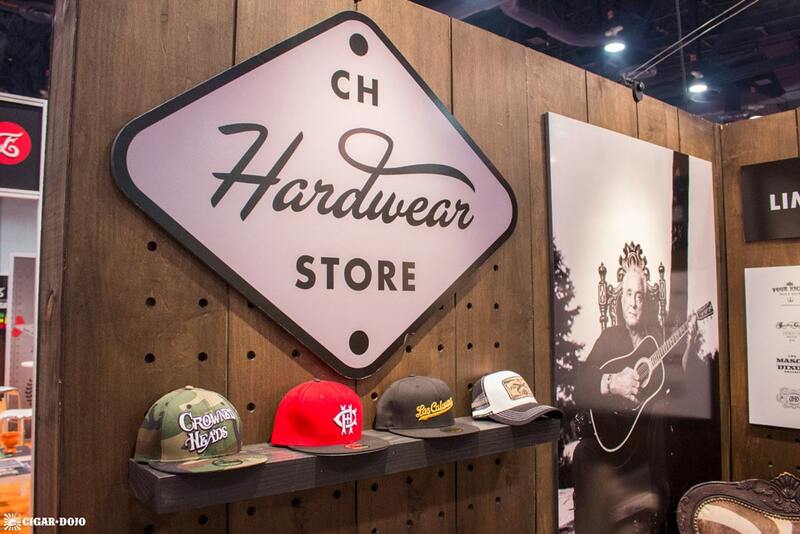 Now, the cigars received their formal introduction at IPCPR 2017, with CH adding two sizes to the lineup (Petite Corona & Churchill). Luminosa fills a gap in Crowned Heads’ portfolio, adding a mild/medium-body cigar in the style of a Connecticut Shade blend (said to be Ecuadorian, but officially listed only as Connecticut). The filler blend is officially listed as, “A proprietary blend of the finest aged Central American tobaccos,” but were described as “Nicaraguan” at the show. The cigars (in the new sizes) are listed as “backorder” from most online retailers—though some do have them available currently.